Just recently I saw, whilst researching some information about influential women in rock music, a photograph of a group of women instrumental in the punk and ska movement in the late 1970’s and early 1980’s. Artists of the like of Chrissie Hynde, Viv Albertine, Debbie Harry and Pauline Black not only helped define a generation but also broke through a glass ceiling in a world dominated by men. These women were not in a band just because they looked good, but because they were talented; in fact in many cases they were the leaders of the bands they were in, proving their worth as creative forces in the music world. They broke down doors and walls and made it possible for women to pick up guitars, to write songs and to perform as not only equals, but in many cases the betters of their male counterparts. All of this would, though, be in vain if the baton wasn’t picked up; if their influence hadn’t inspired future generations. 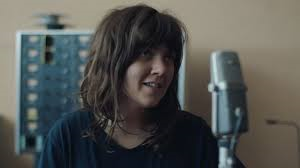 Luckily, Australian guitarist singer songwriter Courtney Barnett, has stepped up to the plate, releasing last week her second full long player, Tell Me How You Really Feel. Following hard on the heels of her 2017 collaboration with Kurt Vile, this album is a showcase of Barnett’s grunge rock and poetry, defining her almost trademark sound with 11 tracks of building beautiful crescendo’s and mournful lyrical dips. Right from the very start, this album challenges the listener with both Barnett’s idiosyncratic guitar riffing coupled with her almost angelic voice which has both a strength and fragility that is amazingly endearing within rising cacophonies of feed-backing guitar. 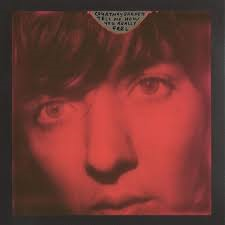 The lyrics speak of melancholic laments about relationships, situations and personal issues; delivered in a droll almost conversationalist fashion; I say almost as, despite the tone and the title of the album, you do get the impression that Barnett doesn’t really want that conversation at all, the album lacks that warmth, which is very much by design. This is a challenging work that shows Barnett expanding, exploring and maturing within her art, and this is what will set this album apart from others released this year. 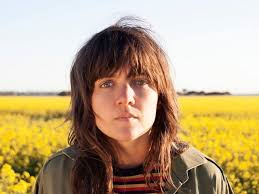 Courtney Barnett has, without doubt, taken on the mantle of those female artists who were inspirational and has taken that forward with this outstanding album. With attitude aplenty, great playing and fabulous lyrics the album will reward the listener and no doubt will feature highly in end of year lists. And to answer the question the album poses, well this reviewer feels mighty impressed with this brilliant piece of work.